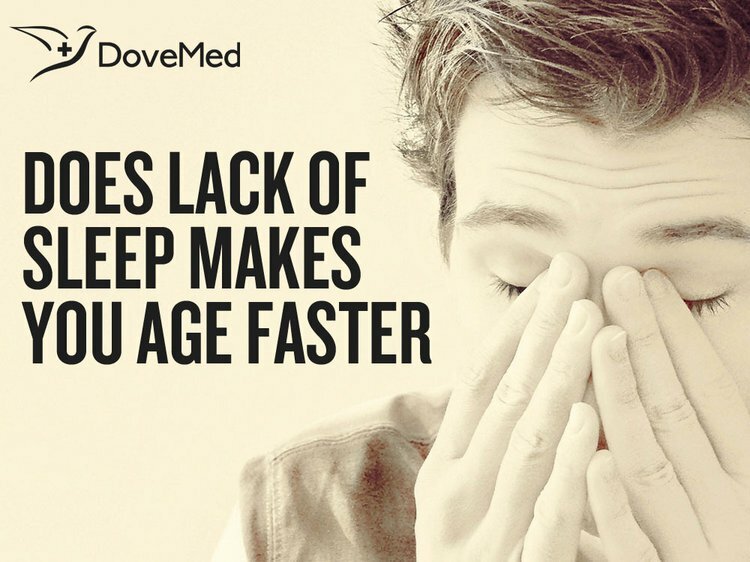 Does A Lack Of Sleep Make You Age Faster? The U.S. Centers for Disease Control and Prevention stated that 40.6 million of American adults are sleeping less than seven hours a day. Night shift workers, particularly those who work in transportation and healthcare industries, are the ones who are at most risk of not getting enough sleep. Beauty sleep is real. However, one-third of individuals do not get enough of it. An individual is supposed to get the recommended 7-9 hours of sleep. The U.S. Centers for Disease Control and Prevention stated that 40.6 million of American adults are sleeping less than seven hours a day. Night shift workers, particularly those who work in transportation and healthcare industries, are the ones who are at most risk of not getting enough sleep. It can be said that these individuals are not reaching their true ‘beauty’ potential and experience the physical effects of a lack of sleep because they are not getting enough rest. Researchers in Sweden snapped photographs of 23 men and women ages 18 to 31 years after eight hours of sleep. Then, the researchers allowed the participants to sleep for five hours, before keeping them up for 31 hours straight. In both pictures, the participants wore no makeup, kept their hair loose, and used the same grooming techniques. The researchers asked 65 new people to rate how vibrant, fatigued, and healthy the study participants looked. The photographs of the well-rested people scored considerably higher than people who did not get enough sleep. The sleep-deprived people were judged to look 19% more tired, 6% less healthy, and 4% less attractive. Another group of researchers at the University of Michigan used a precise, scientific face-measuring system, called photogrammetry, objectively to measure the freshness and attractiveness of 20 patients who went through sleep apnea treatment. Then, medical professionals and other volunteers rated these photographs, taken before and after the patients' treatments. Their scores showed to be more positive after sleep apnea treatment. A clinical trial revealed that sleep deprivation could age your skin faster. Physician-scientists at University Hospitals (UH) Case Medical Center suggest that poor sleepers proved increased signs of increased skin aging. Poor sleepers also had worse facial appearance and assessment of their skin rather than individuals who got a good night’s rest. Researchers from Duke-Nus Graduate Medical School in Singapore concluded that older adults who slept less than seven hours per day are more likely to develop neurodegenerative disease such as Alzheimer's disease. Individuals who slept fewer hours showed signs of rapid aging, like larger brain ventricles, which are markers for cognitive decline. Go to bed at a fixed time. Set your alarm for the same time each day, including weekends, to develop a regular sleep-wake rhythm. Make sure the bedroom is dark and away from blue light. Do not drink caffeinated drinks after 3pm, as this can contribute to a lack of sleep. Do not exercise immediately before going to bed. Find a comfortable mattress that makes your heels, back of the head, and buttocks rest well. Axelsson, J., Sundelin, T., Ingre, M., Van Someren, E. J., Olsson, A., & Lekander, M. (2010). Beauty sleep: experimental study on the perceived health and attractiveness of sleep deprived people. Bmj, 341. Chervin, R. D., Ruzicka, D. L., Vahabzadeh, A., Burns, M. C., Burns, J. W., & Buchman, S. R. (2013). The face of sleepiness: improvement in appearance after treatment of sleep apnea. Journal of clinical sleep medicine: JCSM: official publication of the American Academy of Sleep Medicine, 9(9), 845. Lo, J. C., Sim, S. K., & Chee, M. W. (2014). Sleep reduces false memory in healthy older adults. Sleep, 37(4), 665-U247. Thuerk, S. (2013). Lack of sleep may speed up skin aging. Philip, P., Taillard, J., Sagaspe, P., Valtat, C., Sanchez‐Ortuno, M., Moore, N., ... & Bioulac, B. (2004). Age, performance and sleep deprivation. Journal of sleep research, 13(2), 105-110. Alhola, P., & Polo-Kantola, P. (2007). Sleep deprivation: Impact on cognitive performance. Neuropsychiatric disease and treatment, 3(5), 553. Siegel, J. M. (2009). Sleep viewed as a state of adaptive inactivity. Nature reviews. Neuroscience, 10(10), 747.